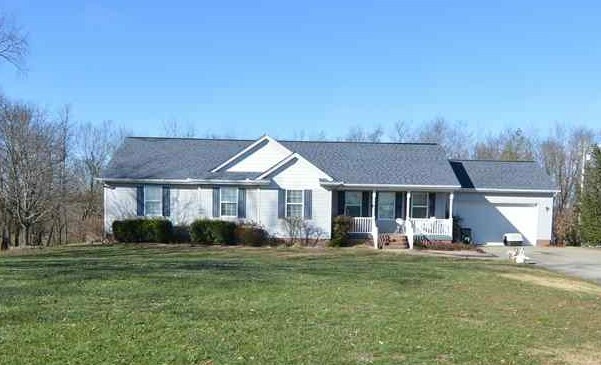 Situated on 3.88 Acres & Located Close To Kentucky Speedway House needs a little TLC, and this fact is reflected in the price. Call Listing agent to set all appointments. Spacious 3 bdrm, 2 Full Bath, Full Unfinished Basement with a Full Bath Rough-in and Walk Out to Patio. Detached Storage Garage in Back of House has Electricity, and Concrete Floor. . All Room sizes are approximate, and Acreage is per Deed Info. Schools, Taxes Info, Acreage, and room sizes need to be confirmed by buyer and buyer's agent. House being sold as is.